So, you take a few days, you see some Champion’s League soccer, and still you wonder, how the heck did Aston Villa thwart Liverpool’s almost omniscient attacking force this past weekend? And you say, “no way, soccer is a team sport, how could one man change it all.” Let me explain. Gabriel Agbonlahor changed the entire way Liverpool players. Going forward he is always going to be an issue. He is more athletic than he looks, he is strong, he is committed to the cause, he pressures the back four relentlessly and makes it difficult for anyone to get comfortable on the ball. Liverpool is a rhythm based team. The Reds need to complete some passes and string some joy together in order to feel confident and take risk going forward. If not, they lock themselves into defensive mode and hope to catch one on the break. One man doesn’t put Liverpool in that mode but Mr. Agbonlahor certainly tried to do do. But that is neither here nor there. The real reason Villa’s performance was so impressive was because once Liverpool was able to break the pressure and have a bit of possession, this man once again created a massive problem for the Reds. It is well documented that Captain God, better known as Steven Gerard, has taken on a deeper lying playmaking role under Brendan Rodgers and can ping a ball anywhere he wants given time and space to do so. It is also well known that his athleticism is not what it used to be and that when taken out of games, Liverpool does not have another exceptional deep lying player with that kind of passing ability. 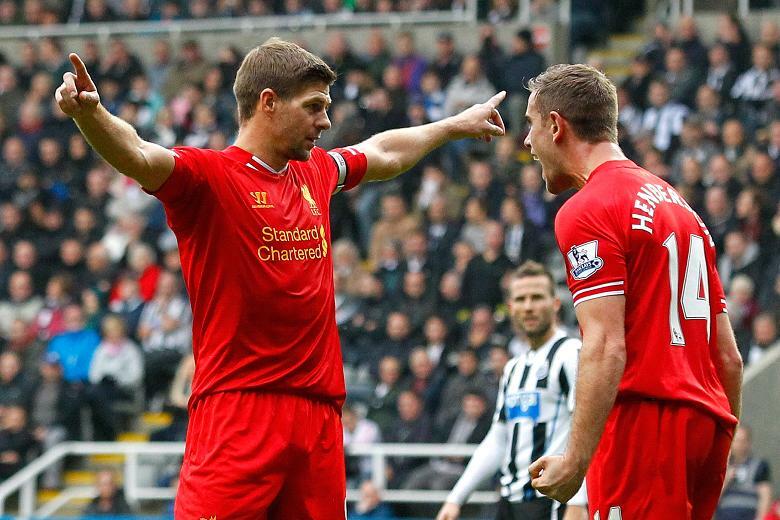 You would hope that Jordan Henderson can eventually find himself there, but not yet. He isn’t ready. 1) It makes someone else try and make the game. In this case it was Jordan Henderson or one of the two centerbacks stepping forward. We all know that as much the modern CB is a ball player, they are in no way close to the technique or vision that Stevie G has. And when Jordan Henderson drops back he tends to try and continue to play short passes when at times it is a longer pass that will find more space for the entire team. Plus, Jordie enjoys one too many touches every now and then! 2) It forces Steven Gerard higher up the pitch. This in itself did a few things as well. It clogged everything up! It seemed like central areas were a nightmare to play through because they were constantly overloaded with Coutinho, Henderson, Gerard and one of the wide players tucking himself in. As weird as this may be, it looked as though Steven Gerard was uncomfortable in these areas further up the pitch. The reality is, Gabriel Agbonlahor, whether by design or by coincidence, created mismatches and overloads all over the field that thwarted Liverpool’s usually potent attack. He forced players into areas they don’t want to be and was able to take the only chance they needed to win the game. Is this a tactic that teams will use in the future? I’m not sure, but I do know that it was a masterclass of a defensive performance from the Villains that made sure they got this result.